As a mother of a son and a member of the MIT community, I want to express my deepest sympathy to Officer Sean Collier's family and to his fellow officers at MIT. Although I did not have the pleasure of knowing Sean, I know many members of our police force. By far, they are the most amazing and caring police officers a community will ever know. The Memorial Service yesterday honoring Officer Collier was a beautiful tribute and illustrates once again MIT is the most incredible institution on this earth. Our hearts and prayers are with you today and always. Though we only know Officer Collier through mutual friends, we can clearly see his kindness and warmth in the impact his loss has made on the MIT community. His memory will live on through all those who had the pleasure of knowing him. As a fellow officer in Canada, may I express my Deepest sympathies for the Collier family for enuring the senseless loss of your son. Mr. Collier, during your entire career, you laid down your life in order to make this college campus a safer place for students, and for that I am forever grateful. I am so sad that you had to pay the ultimate price in such a senseless act of violence by someone who wanted nothing more than to kill innocent Americans. And to your family, I say, My greatest sympathy for your loss. I am extremely saddened by the losses incurred in such a short span of time. But on this Earth, we've lost great men in history and Officer Collier certainly left his mark on the community that he swore to protect and continues to serve as an example to all. To the families and friends of Officer Collier; you have my strongest possible condolences. Sean stood for everything decent in our country. We adire and appreciate what he was and what he will be remembered for--RIP Sean. The MIT Campus Police Department is truly a cherished resource, playing a "caretaker" role for a community of gifted, yet frequently troublesome young adults. As a repeat recipient of their "care" on several occasions during my undergraduate years - I commend their truly inspired and earnest work. My heart goes out to Officer Collier's immediate family and his family of brothers on the MIT CP force as well as the broader Institute community for this profound loss. Words cannot express my sorrow and anger over the loss of Officer Collier. Blessings to his family and know that he will not be forgotten. I already wrote on here the other day, but I just attended the service in your honor here yesterday and need to say something again. It's usually a small miracle for me to get up before noon, but I am so glad that I did because I knew I had to, at least for myself. I've been struggling myself in various ways for a long time. Your death has affected me quite strongly even though we've never met. I got there at 9am and and was one of the first to get in, and I sat across from your family. If even half of what they said about you was true, then you were truly a remarkable person, someone who was both determined and fearless. I think I let fear rule my life too much sometimes. I have needed inspiration and empowerment lately, and being there yesterday has really helped me in that regard. I feel resolved to be a stronger person from here on out because of you, to stop making excuses. I will be losing my father soon, and your death has compelled me to cherish my time with him before it's too late. I am at a loss to explain all this senselessness. Thank you, thank you for everything. I was very proud to be a part of Officer Sean Colliers Memorial Service yesterday, it was the most impressive so "Brotherhood/Sisterhood" with fellow Law Enforcement Officers. Many of us did not know Sean personally, but we all know his character, which is willing to do the right thing to protect the innocent. Unfortunatley Sean made the ultimate sacrifice, which every Law Enforcement officer is full aware of when they put on the uniform and badge. If I were to meet his parents, I would say this: Mr. & Mrs. Collier sadly on 4/18/13 you lost your Sean, on that very same day you gained something as well. You gained thoushands of loved ones from across the counrty and globe, which all are called Law Enforcement Officers. Officer Collier is now a Warrior Angel in Heaven standing with St. Michael watching over all of us. A Hero Remembered Never Dies, and In Valor There Is Hope. Sorry for the loss of the MIT PD. 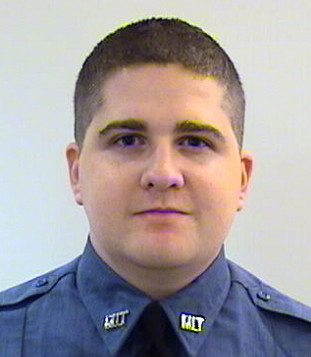 Thank you for you service Officer Sean Collier. My heart goes out to Officer Collier's family, friends, and colleagues. When I saw his photo, with that genuine smile from his whole being and that spark in his eyes, I knew the MIT police are the same wonderful people as when I was a student over 25 years ago. MIT hired the most amazing people for the MIT Police, really good, sharp, warm, salt-of-the-earth people who cared so much for the students. Protectors and advisors. Much of why I have such a good opinion of police in general as an adult comes from my experience at MIT. Back then, they went so above and beyond the call of duty. I felt I had to express my gratitude for Officer Collier's work and deepest condolences to his loved ones. I send my condolences to Sean Collier's family and the MIT community for the loss of Officer Collier. i was so touched by your story in PRC, at the other side of the world. thanks for all you have done. give me the hope and faith. Thank you for your service, brother. You're now needed up in heaven, patrolling the skies forever. You will not be forgotten! Thank you for your service Officer Collier. Your were a credit to the law profession!! Your compassion and kindness will never be forgotten. Your legacy will live on with those you left behind!! Rest in Peace!! With deepest condolences to Sean's family, friends and MIT Police. My heart goes out to you Sean, and your family and the MIT Police. There are no words that I can find to express the love I feel for you because of the kind of courage you have shown in your service in the protection of the students and community. May you Rest In Peace. I hope that you will find comfort in what a great person was Sean and I can assure that we will remember him as he died protecting us. Our condolences to your family , such a great young man with a heart of gold , a true sample of human love and kindness to all of us ! I am a Massachusetts resident my whole life... I was TOTALLY shocked and devastated April 15th and again the 18th of such terror on our American soil. I am sending my condolences to Officer Sean Collier's family, uniformed brothers and sisters, and all of Boston for such horrific loss !! He represents what an American hero is all about, you all do !! We all mourn your tragedy and send our heartfelt love to each and every person this ripple affect has had on their lives. We shall NEVER forget !! God bless and job well done Officer Collier and colleagues ! !